Click image to get yours! "I am seeing things in a different light. It is like something that was in me really did get un-stuck and the flood gates are opening; it's a miracle." ~Layla Kelly, Jewelry Artist, Nehalem, Oregon. Rena Hatch, MS, RYT, creator of Stretch Beyond Stuck. Message from Rena … Welcome to my blog! I’m so honored you are visiting and taking some time for yourself. You deserve it! This blog was created to share my tips/tools with busy women like you who might be stuck in some unhealthy habits in your mindset, your job, health or relationships. Want Heathy Boundaries? Act like a Cat! Stuck in Negative Thoughts? Try this! 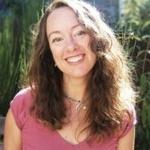 Rena Hatch, the Get Unstuck Coach, created StretchBeyondStuck.com and this blog to empower women to live a life of healthy relationships, strong boundaries, relaxation and confidence. It is her mission to remind us to stop looking outside ourselves for the answers that are already there within us. She helps women reconnect to that center within where the answers live. When you live from this place you are confident, balanced and true to your authentic Goddess Self. Her clients have new healthy habits and naturally make wiser choices. They live with stronger boundaries and learn to reconnect to their intuition. Through her personal experience with life coaching and yoga, she realized she had been denying her feminine power to fit into a masculine workforce, as well as living her life for others instead of from a deep authentic place. She had a mystical, transformational experience which lead her to leave her career, lose more than 50 lbs, move to Portland, Oregon, get certified as a yoga teacher, become a certified professional life coach and open her own business, LunaGaia . Rena specializes in working with self-aware, busy women who feel stuck in unhealthy patterns. They are often confused about how to make change happen. She helps them stretch beyond stuck and get crystal clear on what they want and how to overcome self-sabotage. Her clients create dream careers and live more relaxed lives with strong boundaries, healthy relationships and strong sense of self. Rena is no stranger to struggling with a sense of self, boundaries, health, stress, and old wounds. She spent 10 years as an over worked, over stressed, ‘up in her head’, high achieving scientist who was looking for something more but not sure what it was. With a successful career as a micro-business owner who followed her dreams, Rena now empowers other women to achieve the same success. She has a master’s degree in Earth Science from UC Berkeley. She is certified and a registered yoga teacher (RYT) with Yoga Alliance. She is a solution focused, professional Erickson College trained life coach (http://www.erickson.edu/), holds an ACC certification from the International Coaching Federation ans is a graduate of North West School of Earth Medicine. She currently lives at the beautiful Oregon Coast with her husband and two lovely cats.